Ever dreamed of building a mini home on site, be it for elderly parents or as a stylish guest house? 169 Queens Road can help you realise that vision thanks to a second house tucked away in the back garden, just waiting to be decorated to your taste. This rare opportunity is priced at over £800,000 and is even located in the trendy west-end area of Aberdeen, ideal for those working in the oil industry. The main house has a long driveway and wrought iron gates, and is set back off the road, where there is plenty of parking, if you don’t fancy using the handy double garage. The ground floor has an open-plan hallway and dining area which leads on to a south facing lounge, giving you plenty of options for entertaining. Even better is the fact that this light and airy room also has a large balcony which looks out over the garden and towards the second house. The key to this spacious family home is versatility, with two further bedrooms which could be converted into more living space, alongside a luxury bathroom and utility room. One room is currently being used as a study, showing this home really is what you make of it. 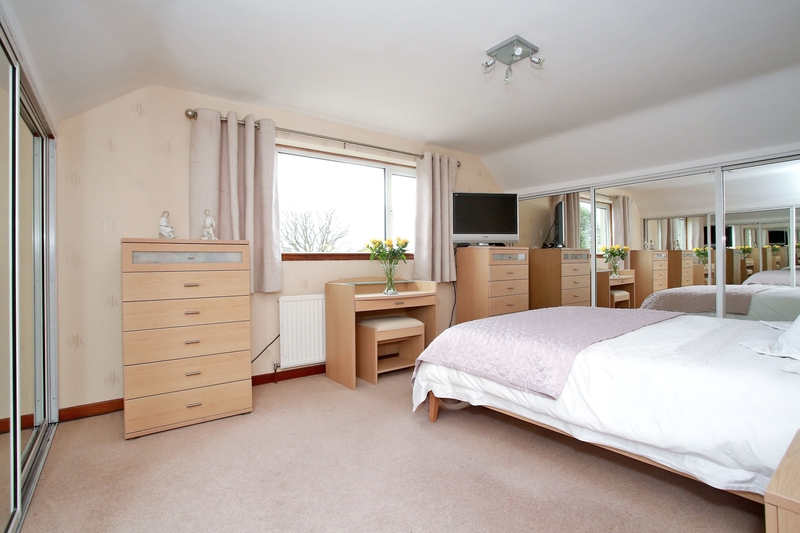 Three further bedrooms can be found upstairs, with the master bedroom having an enviable south position. All bedrooms have built-in wardrobes and there is a further box room which can be used as an office. One bedroom also has a skylight, with light being a real selling point thanks to the positioning of this house. The family bathroom is also a highlight, as it comes complete with a sauna for the ultimate relaxation. Step out into the garden for the real surprise, where it’s only a short walk to a beautifully finished second home. 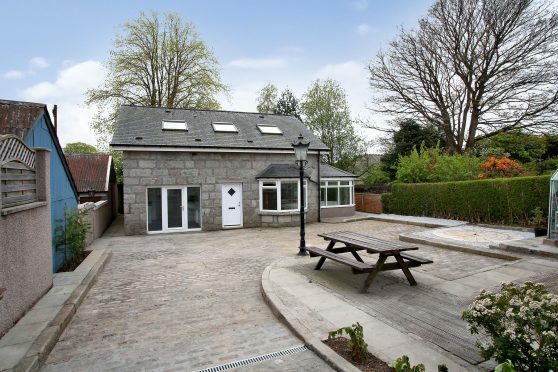 From the perfect granny flat to a luxury guest house, this two bedroomed home is a blank canvas. The lounge has bay windows and could be the perfect entertaining space, but you can also relax in the sun lounge which has double doors leading out into the garden. 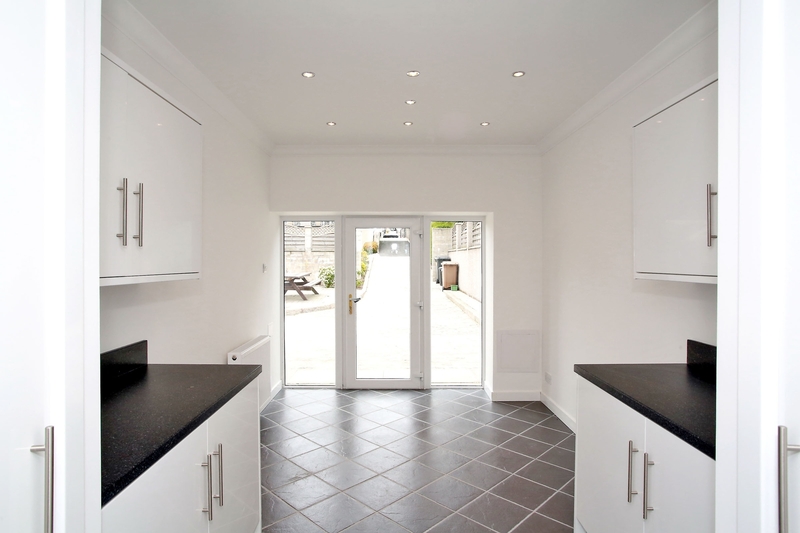 The kitchen has already been fitted with units and leads through to a lovely breakfast room. Upstairs there is an en-suite master bedroom and double bedroom which also comes with a shower room. The homes are separated by a large garden and low walls and the main house has a double garage which can be accessed via a hallway downstairs. 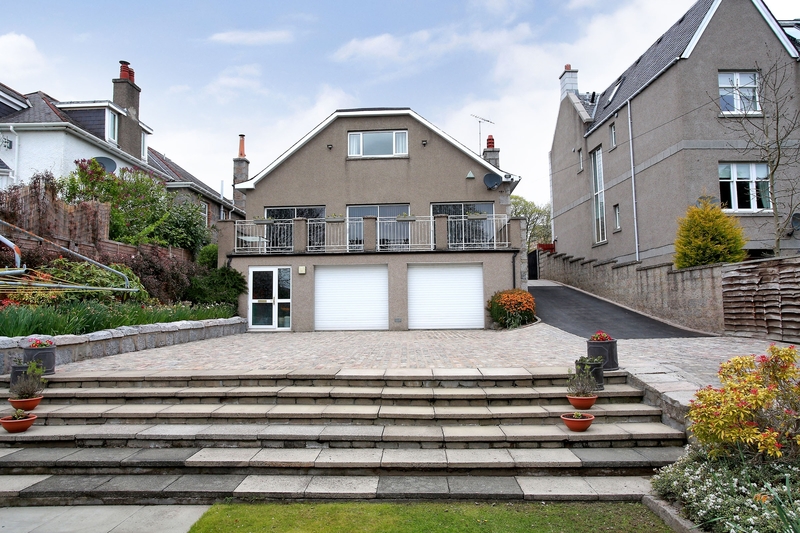 Queens Road is a highly desirable location as it’s only a short drive to the Aberdeen Ring Road. Hazlehead Park is also close by and those wishing to commute to Kingswells and Westhill could make an ideal home here. Whether you have a growing family or plenty of imagination, this could be the first step to creating a unique home where space will never be an issue. Contact Ledingham Chalmers on 01224-632500.